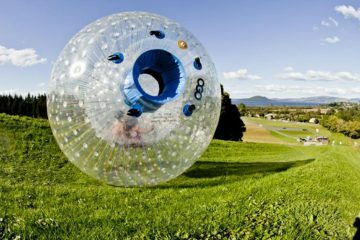 Roll down a hill in a giant hamster ball, tackle the sidewinder track and even choose to throw some water into the mix to with this awesome zorbing experience! 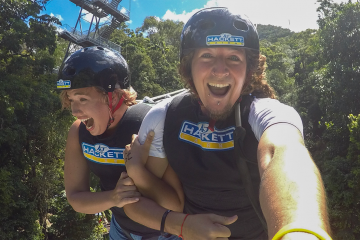 Fly through the jungle at 120kmph on the famous AJ Hackett Minjin Swing in Cairns - including free photos and heaps of adrenaline! 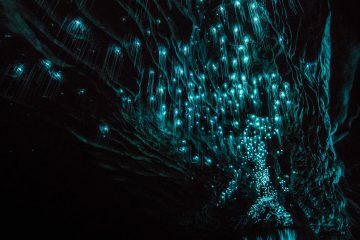 Experience the world famous thrill of Black Water Rafting Waitomo Gloworm Caves on New Zealands North Island - a must do bucket list item! 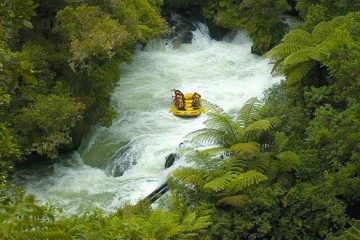 With twists, turns and full 360 spins the Queenstown Shotover Jet is one of themes popular activities on the South Island of New Zealand! 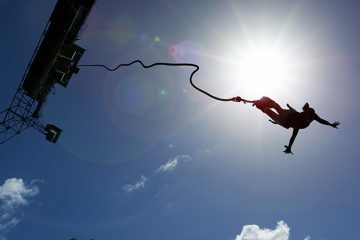 Face your fears with AJ Hackett when you tackle their famous Cairns bungy jump! 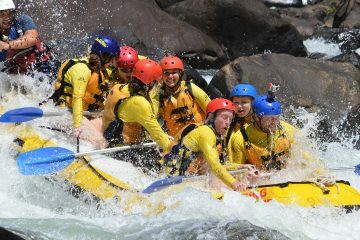 Tackle the mighty Tully River on this White Water Rafting experience for a dat of water fuelled fun! 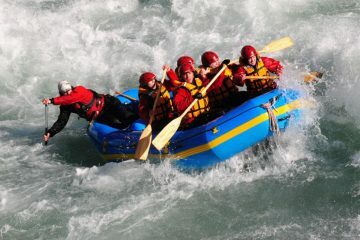 Fancy some white water rafting in Queenstown? 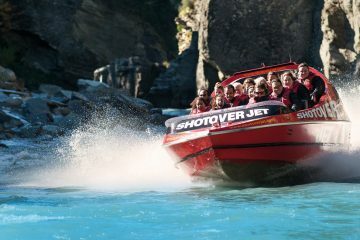 Choose from the Shotover River or Kawarau River for a day of thrills, spills and good times! 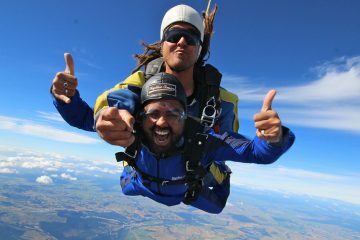 Face your fears and tackle this amazing tandem skydive over Taupo, New Zealand - jump from up to 15,000 feet! 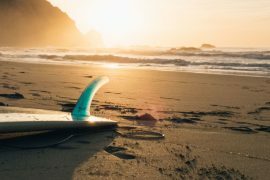 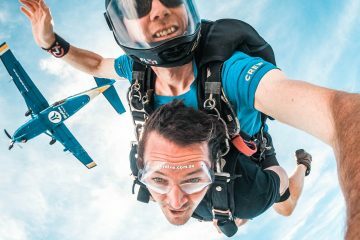 Get the ultimate adrenaline rush and skydive Whitehaven Beach in the Whitsundays - the most beautiful drop zone in Australia. 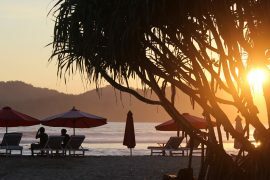 15000 foot of stunning views! 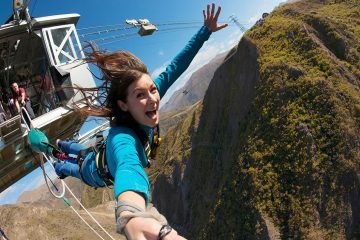 Face your fears and tackle the world famous Nevis Bungy Jump in Queenstown, New Zealand with AJ Hackett - 134m of adrenaline! 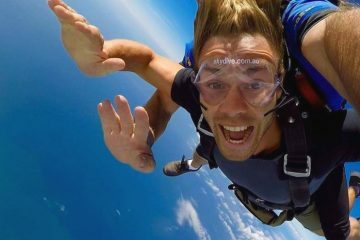 Experience the ultimate adrenaline rush and Tandem Skydive Byron Bay, Australia - 15,000 foot of pure fun!